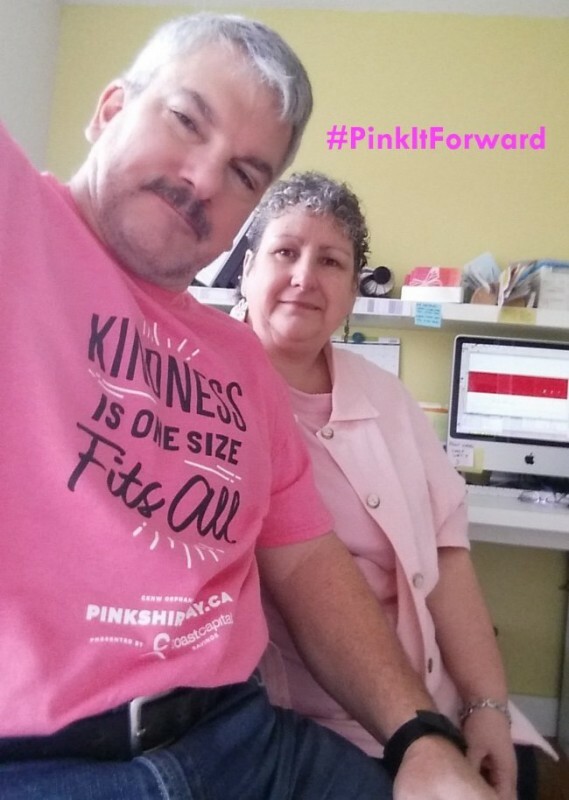 Today is ‪#‎PinkShirtDay‬ – A reminder to speak out about bullying… both online and in real life. We have all seen news stories go viral… and many of them cause feelings of anger, fear or dismay… which make them hard NOT to react to. We use this day as a reminder to ourselves, to be mindful and respectful, and not just “pile on”, when an individual or company seems to cross a line. I think all of us have caught ourselves trying to say something, that can be misconstrued or mis-interpreted. Especially on Social Media, where brevity and conciseness are often dictated. The shirt really says it all: “Kindness is one size fits all“.